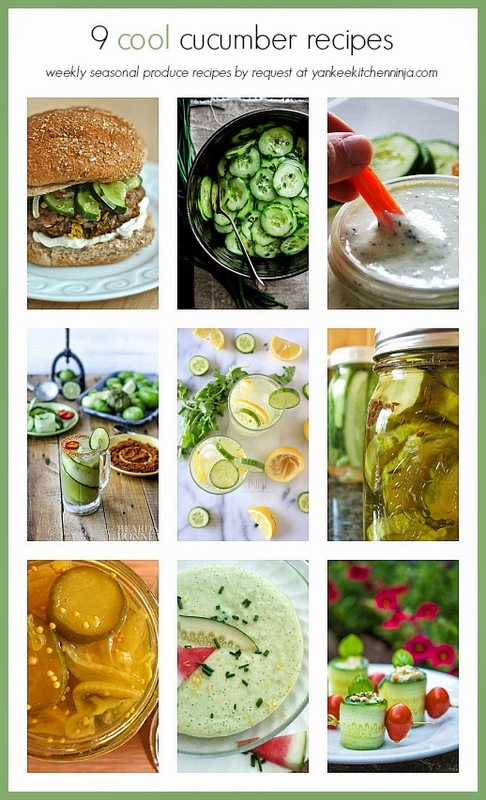 Need new ideas for cucumbers from your garden, CSA share or farmers' market? Enjoy these nine delicious recipes using cool, crisp cucumbers. Hopefully by now I don't need to remind you how CSA Share Ninja Rescue works -- but I guess I will anyway. You tell me what veg you received (or will be receiving) in your CSA share box or found at the farmers' market that you don't know what to do with, and The Ninj rescues you each Tuesday with a whole bunch of recipe ideas from me and my favorite fellow food bloggers. Ya good with your cukes? Never fear: Simply check out the recipe suggestions from prior years of the CSA Share Ninja Rescue for whatever veg is giving you fits. Now, friends -- what produce can I help you with for next week's roundup? Leave a comment: The Ninj wants to know. I keep getting cukes in my CSA and have no idea what to do with them! Ever. Definitely trying all of these! !